The crime statistics published on the Western Australia Police Force website are expressed as counts of criminal offences. These notes summarise the processes and methodology underpinning the production of crime statistics for Western Australia (WA). Many factors (social, economic, proactive policing strategies, inter-agency strategies, etc.) influence the prevalence of crime and police are only aware of offences which are reported to them or otherwise become known to them. Proactive policing strategies undertaken to encourage the reporting of certain offences, such as family violence and sexual assault, as well as the proactive targeting of specific offences, may increase the number of offences reported or detected within a given period. However, a decrease in the number of reports for a targeted offence may occur in subsequent periods if the targeting has been successful or a different offence becomes a replacement target for proactive effort. The number of offences reported is not within the direct control of WA Police Force. Due to the ongoing nature of many investigations, offence counts are subject to revision as such investigations are finalised. Between May and November 2017, changes to recording and reporting practices were implemented across the WA Police Force, which affect the published data. Due to these changes, comparison should be made with caution where it is either of data from before and after the period of recording and reporting changes, or involves data from a period overlapping May-November 2017. These notes first detail the current offence recording and reporting practices, before detailing the changes made to these practices since May 2017. When an incident is reported to police, or becomes known to police, an incident report is generated in the WA Police Force’s Incident Management System (IMS), which includes the details of any offences committed at the incident. An incident report may record multiple offences, victims and offenders, and there is no direct correlation between the numbers of offences, victims and offenders. Offences reported by WA Police Force exclude all offences with the current Offence Outcome Status of 'No Criminal Offence', 'Offence Substituted', 'False Report', or ‘Entered in error’, or the previous Offence Outcome Statuses 'False Report', or ‘Mistakenly reported’. In its recording practices, the WA Police Force follows, where practicable, the National Crime Recording Standard (NCRS) 2008. NCRS is an internal standard of the Australian Bureau of Statistics (ABS) endorsed by the Police Commissioners of each State and Territory of Australia. The WA Police Force has consulted with the ABS with regards to cases where WA Police Force practice differs from NCRS. It should be noted that WA Police Force counts criminal offences, whereas NCRS relates to counts of crime victims. Offences may be subject to circumstances of aggravation, which are factors present during an offence that escalate its severity. For example, if during a robbery offence the offender threatens to kill any person, it is considered ‘aggravated robbery’. Due to recording limitations, offences committed under circumstances of aggravation are included but not distinguished in published data. All published offence statistics are derived from IMS. These statistics are produced quarterly and published in the last week of the month following the quarter end. The offence classification used for the publishing of WA Police Force crime statistics is based on a combination of the Australian and New Zealand Standard Offence Classification (ANZSOC) 2011, WA Legislation, and operational reporting requirements. ANZSOC was developed by the ABS on behalf of the police agencies of the States and Territories of Australia and New Zealand. The main objective of this standard is to enable comparable reporting of crime statistics across jurisdictions. Offence category names may be the same as referred to in WA legislation. However, broader or different definitions may be used, for WA Police Force crime statistics reporting purposes, to capture similar offence types. Please refer to the Glossary for more information. Currently published data includes selected offences reported to or becoming known to police, and resulting in the submission of an incident report in IMS. Data excludes a number of other offences against the statue laws of this State and the Commonwealth. The number of offences reported by WA Police Force may include offences committed during earlier periods. Children who reside or regularly stay with involved parties. In July 2017, practice changes were introduced in response to recommendations made by the ABS, to reduce over-reporting for certain offence types. Key areas where over-reporting was identified was in relation to facilitation offences and duplication of offences. An example of a facilitation offence is damage caused by an offender in gaining entry to a premises in order to commit a burglary. In such circumstances, only the burglary is reported in WA Police Force’s statistics. However, if damage occurs during the burglary beyond that necessary to facilitate the primary offence of burglary, a separate damage offence would be reported. This is represented in Diagram 1 below. An example of a duplicated offence is where multiple instances of ‘Assault’ are recorded for a single victim at a single incident. In such cases WA Police Force’s statistics will report a single ‘Assault’ offence. In the event multiple offenders are involved, they are individually recorded as taking part in the same offence. The rate of offences per 100,000 people in Western Australia is presented in the ‘Year to Date Annual Crime Statistics’ report available on the WA Police Force website. This report provides the rate of offences per 100,000 people for the state, the Metropolitan Region, the Regional WA Region, and the police districts. The use of a rate per 100,000 people is an internationally recognised standard for measuring the prevalence of crime and crime trends between different geographical areas, as it weights the number of offences in accordance with variations in population. Rates are calculated using the annual Estimated Resident Population (ERP) published by the Australian Bureau of Statistics (ABS). The ERP used corresponds to the geographical area of the offence count. The sanction rate for offences is presented in the ‘Year to Date Annual Crime Statistics’ report available on the WA Police Force website, by state total, the Metropolitan Region, the Regional WA Region, and the police districts. Sanction rate is an indicator of the effectiveness of the WA Police Force in achieving select offence investigation outcomes such as the processing of an offender. From July 2017 onwards, sanctioned offences are those offences with an Offence Outcome Status of ‘Offender Processed’, ‘Complaint Withdrawn’, or ‘Unable to Proceed/Charge’. Prior to July 2017, sanctioned offences were those offences with an Offence Outcome Status of ‘Offender Processed’, ‘Withdrawn’, ‘Statute Barred’ or ‘Civil/Other’. The sanction rate may exceed 100% if the number of offences with a sanction outcome added in a time period is greater than the number of new offences recorded in the same time period. Offences sanctioned within a given period may not have been reported in that period. Changes to recording and reporting practices implemented between May and November 2017 affect the published data. Recording practice changes apply to data from the point in time when the new practice was introduced. Reporting practice changes apply to data retrospectively. Due to these changes, comparison should be made with caution where it is either of data from before and after the period of recording and reporting changes, or involves data from a period overlapping May-November 2017. In line with ABS recommendations, counting rule changes were introduced in July 2017 to ensure that facilitation offences, and duplicated offences (described above) have been excluded from offence counts for applicable offence types. These changes were applied retrospectively. The offence type ‘Stealing (Not Elsewhere Classified)’ is no longer used for reporting. Such offences are now reported against one of the above new offence types. The offence type ‘Breach of Family Violence Restraint Order’ was introduced through legislative change in July 2017. Counts of offences under this offence type include offences of the same name, as well as 'Breach of Violence Restraint Order' offences where a family relationship is determined to exist. The adoption of the Australian and New Zealand Standard Offence Classification (ANZSOC), 2011. Prior to July 2017 the WA Police Force followed the former Australian Standard Offence Classification (ASOC), 1997. Changes between ASOC 1997 and ANZSOC 2011 are documented in the explanatory notes of the ANZSOC (2011) publication on the ABS website. In July 2017, the Offence Outcome Statuses applied to offences were contemporised. This has involved retaining some of the existing Offence Outcome Statuses, amendment of some existing statuses, creation of new statuses, and retirement of obsolete statuses. The updated list of available statuses provides a greater ability for comparison across Australian law enforcement jurisdictions. Table 2 below lists each Offence Outcome Status and its inclusion in crime statistic offence counts. The WA Police Force’s IMS has been modified for compliance with recording and reporting practices introduced between May and November 2017. The WA Police Force contributes to the ABS suite of crime statistics, which encompasses data from each of the States and Territories of Australia. Care should be taken when comparing crime statistics on the WA Police Force website with ABS data due to differing methodologies, categories, and counting rules used for counting victims, offenders, and offences. 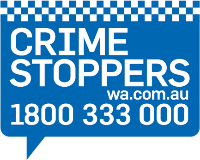 The WA Police Force Crime Statistics Portal provides an interactive locality and offence lookup system, explanatory material and downloadable reports. An explanation of the offence types and other terms used to describe offences in the WA Police Force crime statistics. Complements the Explanatory Notes by providing a brief overview of key information about the WA Crime Statistics using the ABS Data Quality Framework. From 2017-18 the WA Police Force revised offence classifications and reporting processes. These archived reports are based on the previous model and are not comparable to current data.